From left: Leading Lady; She's Pampered; Butler Please; Beyond Cozy; Snap Happy; Where's my Chauffeur. My personal favourites are She's Pampered, Beyond Cozy and Leading Lady. 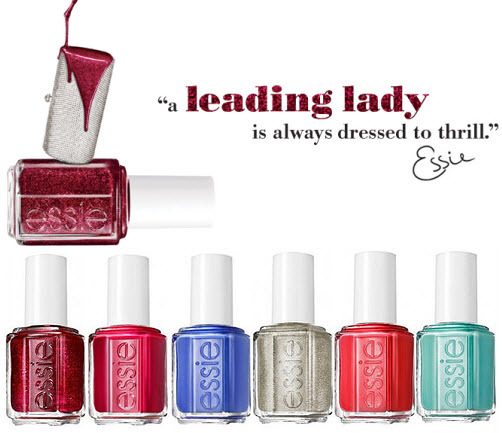 I haven't tried Essie yet. Its crazy:-) I really want to try this brand.